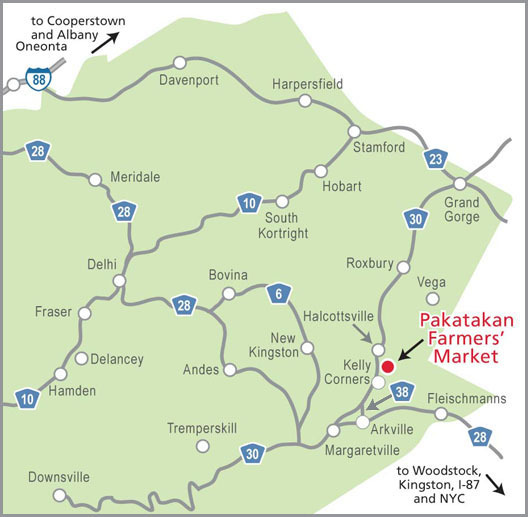 The Pakatakan Farmers' Market is located at the historic Round Barn on Route 30 near the Delaware County hamlet of Halcottsville, in the central Catskill Mountains. 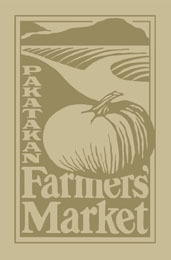 The market is five miles north of Margaretville / Arkville and eight miles south of Roxbury. 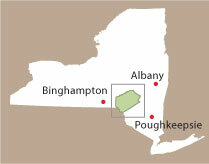 The location is 50 miles west of Kingston on Route 28 (turn right at Arkville cutoff road—county Route 38); 45 miles southeast of Oneonta on Route 30; 35 miles south of Middleburgh on Route 30; and 40 miles north of the Route 17 exit at Roscoe.